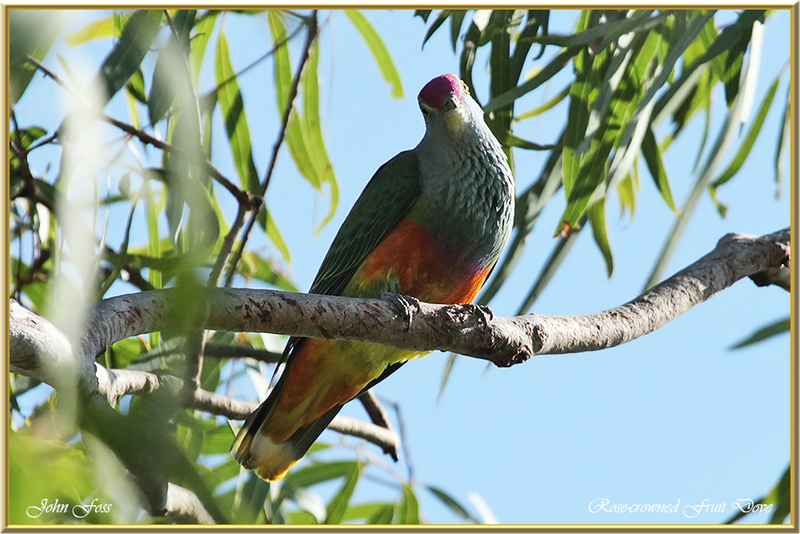 Rose-crowned Fruit Dove - inhabits lowland rainforests of northern and eastern Australia, and monsoon forests of northern Australia. They feed on fruit in the canopy of rainforests. Swallowing them whole! Amazingly colourful dove. 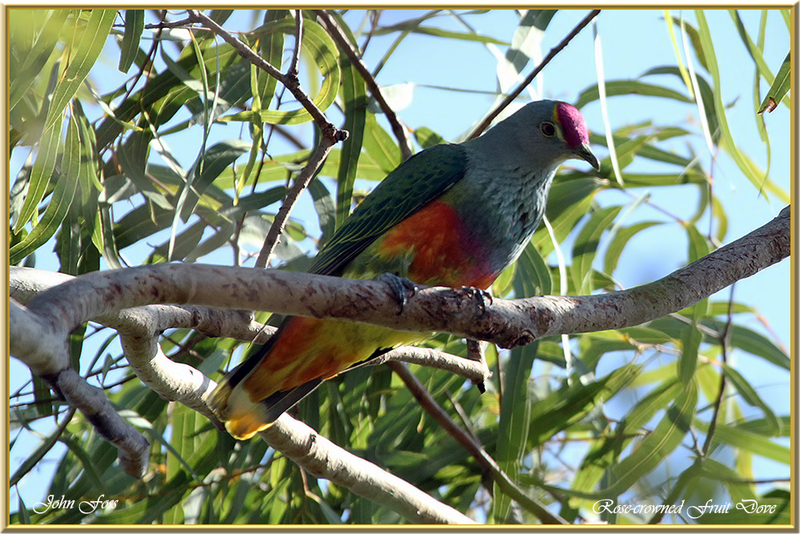 I photographed this one at Mon Repos near Bundaberg Australia.